This is the moment you’ve waited for! 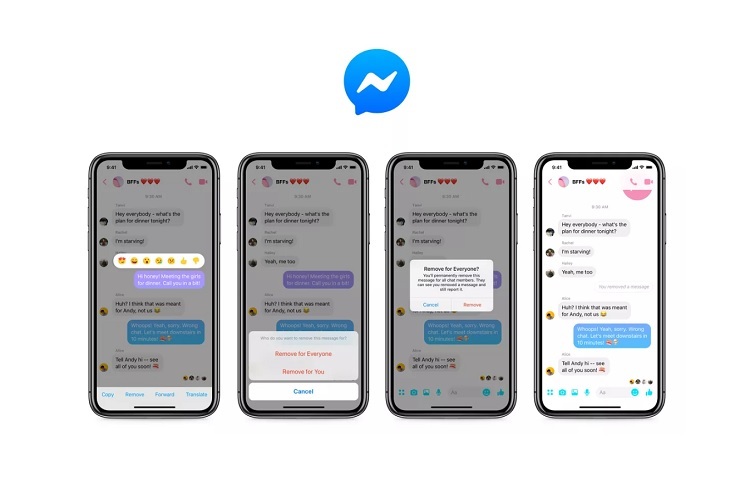 Facebook Messenger has rolled out its unsend feature, allowing users to remove unwanted messages. Here’s the thing, the app’s new feature enables users to delete a message. The social media giant explained that you only have 10 minutes to do so. Meanwhile, we can say that this update is almost similar to Viber’s feature, which also allows users to remove their sent messages. To unsend a message, users simply have to long press, or tap the message. Then, choose “Remove for Everyone” if you want it to be deleted on both ends, or select “Remove for You” if you want your message to be removed just on your own list. The new feature is currently rolling out. Some users can now enjoy it, while others can expect that they will receive the update soon. What are your thoughts about this new feature? Is it a yay or nay? Let us know what you think!